The company will take the opportunity to present its service portfolio at the international exhibition and conference Intermodal Europe 2018, which takes place at the Ahoy in Rotterdam, the Netherlands, from 6 to 8 November 2018. Contship’s Rail Hub Milano (RHM) and its gateway ports La Spezia and Ravenna serve as backbone of the Group’s growing intermodal network. La Spezia is geographically located within a range of 320 km from the key economic regions in Italy, accounting for over 47% of the total Italian GDP. RHM is located in Melzo, just outside the city of Milan at the heart of consumer and industrial regions. Ravenna is the natural gateway for East Med flows exchanged via the Adriatic Sea. This year has seen numerous service additions from RHM to various locations across Europe. 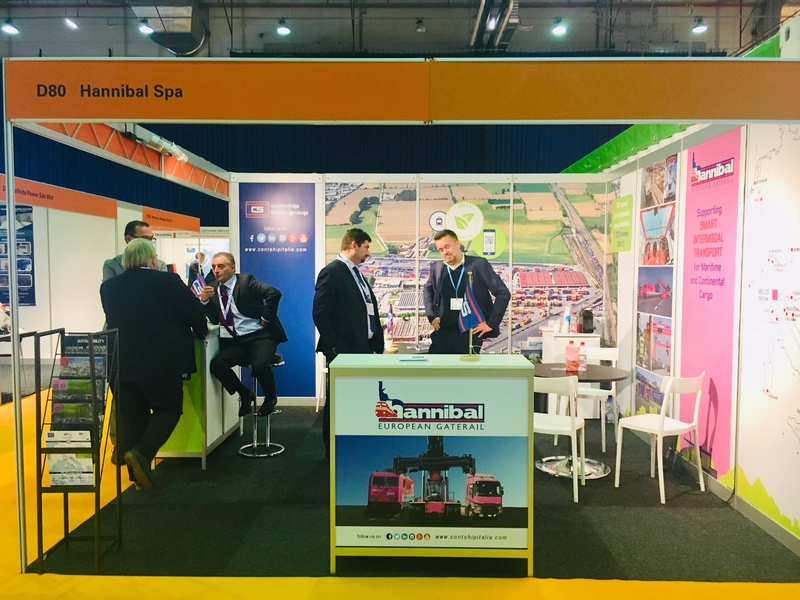 In July, Hannibal, Contship Italia Group’s multimodal transport operator, launched a second rail link to Zurich (Niederglatt) which complements the existing daily link to Frenkendorf close to Basel. Hannibal’s first link to Basel (Frenkendorf) started in 2013 and has recorded growing demand since then. As the river Rhein is currently blocked for barge transport due to low water, this link offers a valid alternative to northern range ports and demonstrates the advantage of alternative transport opportunities. In September, a new rail connection linking Melzo with Riem Terminal in Munich 3 times a week was introduced. The connection is managed by the German transport company Kombiverkehr along with MII. In addition, a new daily link was launched for a third-party operator between Melzo and Amsterdam in October. Other rail links are expected to be finalised in the coming weeks and are set to expand the rail network available from Melzo, including the continental cargo flow between France, Italy and even China. The Contship Group has also increased its domestic links between Melzo and Ravenna from two to three per week, with another upgrade to five round trips per week subject to market demand foreseen in 2019. Ravenna connects Italy to the Eastern Mediterranean and via the Southern Gateway to Asia and the US. By expanding its service offering dedicated to continental volumes within Italy and neighbouring countries, Contship continues to transform the Southern Gateway into a competitive and reliable option for cargo owners, freight forwarders and shipping lines. The Group’s concept of RAILability enables shippers to fully control their shipments from port-to-door at any time. The Southern Gateway comes with numerous advantages, especially for import cargo from Asia. For many trade lanes, transit times are faster, leading to a reduction in inventory cost and seafreight. In 2018, both the average seafreight tariff for cargo arriving from Asia on the Mediterranean route and the terminal handling charge were lower compared to any destinations in North Europe. At the same time, a shorter voyage leads to reduced CO2 emissions. In addition, due to a fast customs corridor and preclearing options in La Spezia and Ravenna, the discharge of cargo is expedited, so it reaches is final destination faster. La Spezia’s rail connectivity features 200 trains a week, which is three times the average for Italian ports. The hub’s current capacity is 1.4 million TEU per year. More than 30% of this throughput is carried by rail freight. The Group is currently carrying out an investment programme upgrading La Spezia’s capacity to 2 million TEU per year, with the objective of handling more than 50% by rail. Investments amount to US$ 230 million in total, which will enable the hub to welcome the largest containership of 20,000 TEU of capacity. Contship’s private and fully integrated port-to-door model offers carriers, freight forwarders and cargo owners a one-stop-shop solution to better manage supply chain risks and improve product competitiveness. Another key aspect to the Group’s integrated logistics offering is its private rail asset Oceanogate. This part of Contship’s portfolio provides rail traction to serve national and international routes as well as shunting operations linking maritime terminals and rail hubs to and from the national rail network. At present, the company offers about 300,000 m2 surface in Melzo, east of Milano, to handle 300,000 TEU. Its rail tracks feature 4 x 750 m, 3 x 550 m and 12 x 600 m (for shunting operations). The rail hub is ready to achieve further volumes as a consequence of the expected improvement related to the infrastructure development of the Gotthard and Monte Ceneri tunnels which will enhance to run longer and heavier trains from to Italy.